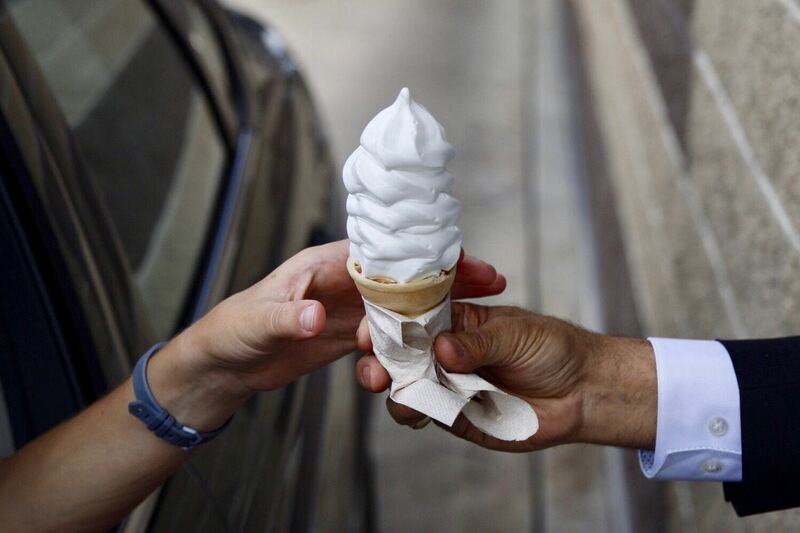 Let's "(Soft) Serve it Forward!" 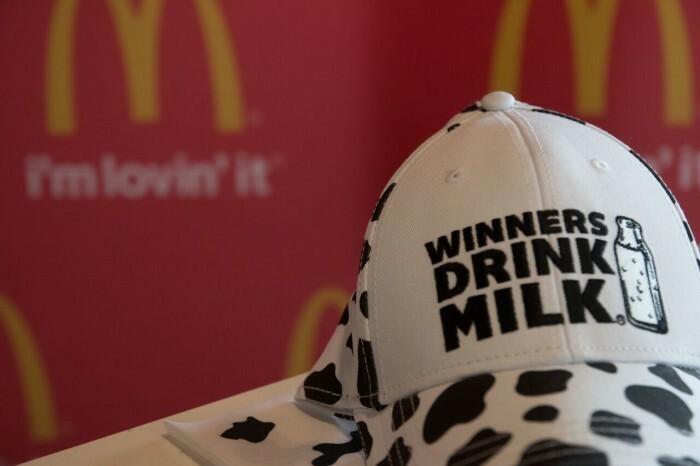 | Winners Drink Milk! 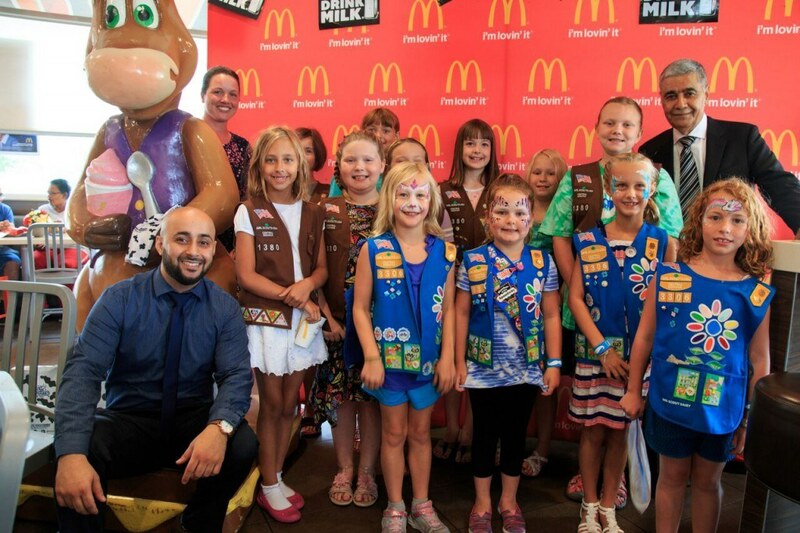 On Monday, July 16th, we joined our friends at McDonald’s to celebrate National Ice Cream Month. 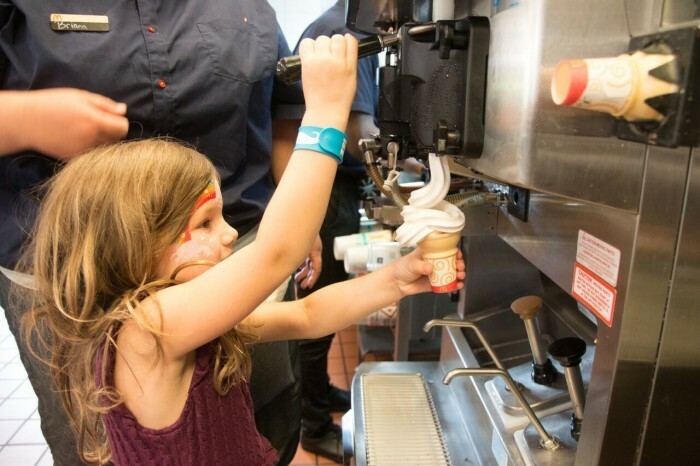 We’ve all heard the notion to “pay it forward,” but why not sweeten the act of kindness by adding ice cream to the mix? 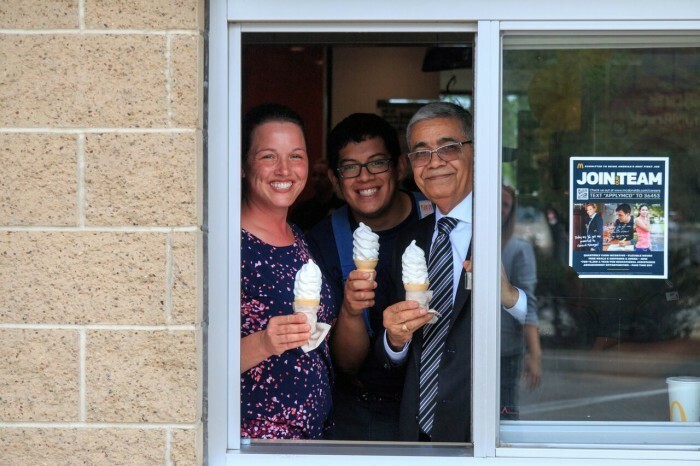 With the help of McDonald’s owner/operator Mohommed Moalikyar, we decided to “(Soft) Serve it Forward” by utilizing McDonald’s delicious Prairie Farms-provided vanilla ice cream. In order to kick off the celebration, we needed a group to surprise with ice cream. We knew there would be plenty of customers during the afternoon hours, but what about surprising a local Girl Scouts of Central Indiana troop? With a little help from the Girl Scout organizers, two local troops showed up to learn how to perfect the ice cream cone, how to build a sundae and how to top it both off with McDonald’s signature toppings– Oreo cookie crumbles and M&Ms. 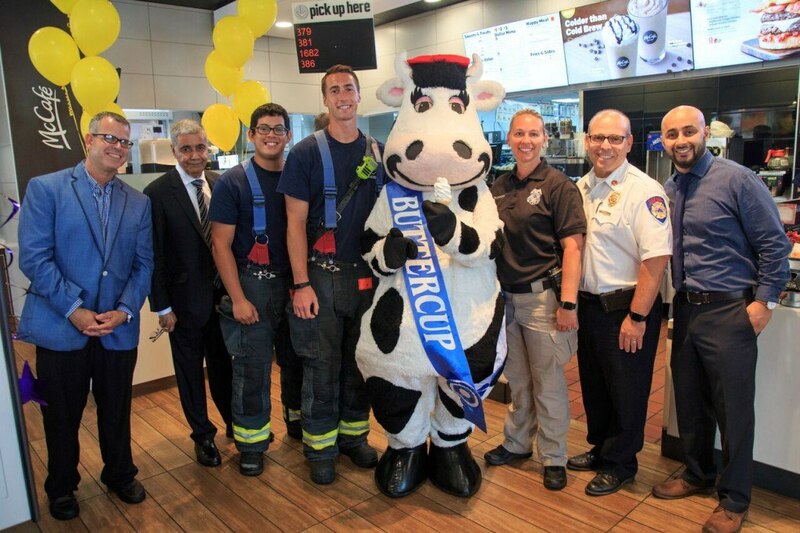 McDonald’s in Carmel was nice enough to host, not only the Girl Scouts and their parents, but also local firefighters and local police who would, in turn, work the drive-thru lane while surprising customers with ice cream products. And what’s a celebration without a dairy farmer? Kelly MacKinnon of Carterly Farms (Thorntown) spoke to the crowd about where ice cream originates– dairy cows! 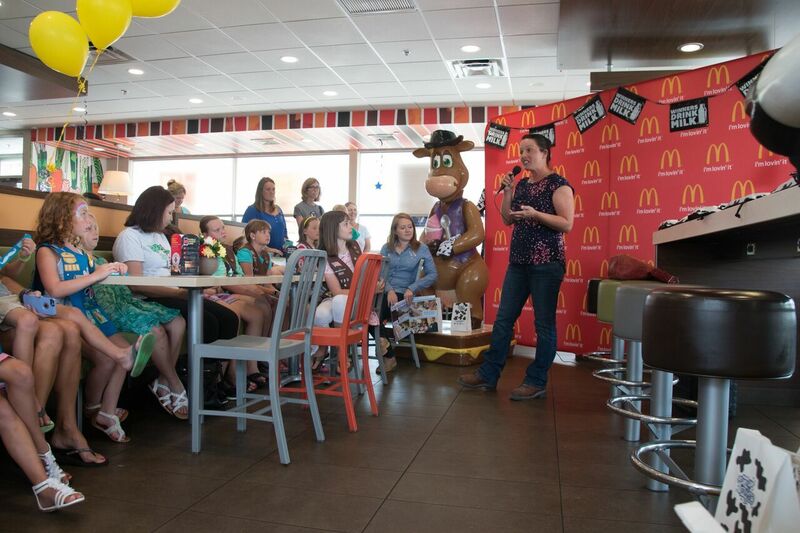 The Girl Scouts were so engaged in the presentation, and we were thrilled Kelly could share the “cow to you” story with all those in attendance. 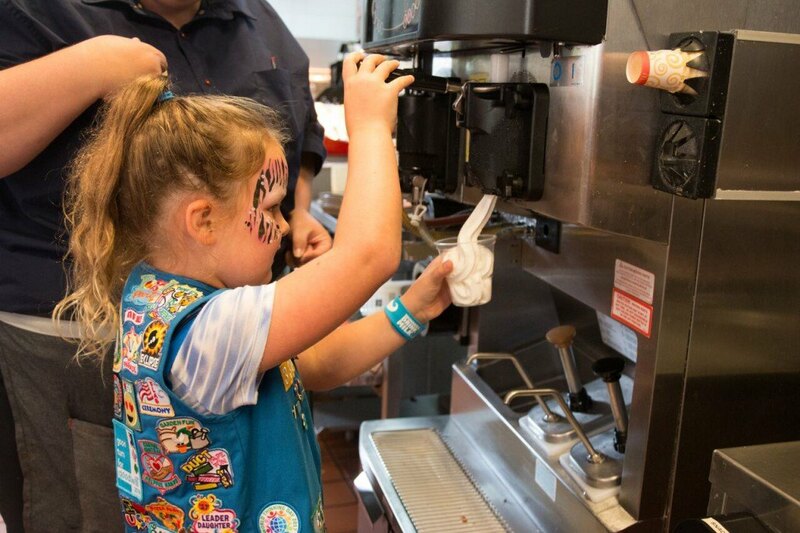 The afternoon celebration was a great way to kick off the week and our hope is that all those at McDonald’s continue to celebrate National Ice Cream Month by “scooping it forward” to family and friends.